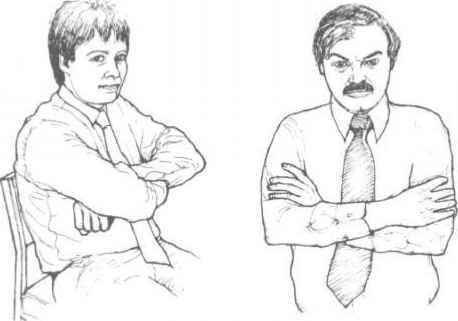 Communication through body language has been going on for over a million years but has only been scientifically studied to any extent in the last twenty years or so; it became popular during the 1970s. By the end of this century it will have been 'discovered' by people throughout the world and I predict that its impact and meaning in human communication will be part of formal education. This book has served as an introduction to body language and I encourage you to seek further knowledge through your own research and experience and through the examples given. Ultimately, society will be your best research and testing ground. Conscious observation of your own actions and those of others is the best way for each person to gain a better understanding of the communication methods of the earth's most complex and interesting beast - man himself. The remainder of this book is devoted to social and business situations and shows how gestures and body signals occur in clusters and the circumstances that may affect your interpretation. However, before you read the notes, study each picture sequence and see how many you can interpret through what you have read in this book. You will be amazed to find how much your perceptiveness has improved.